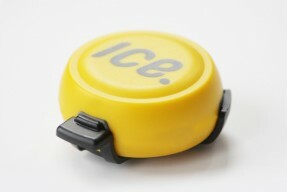 DesignApplause | icedot crash sensor. 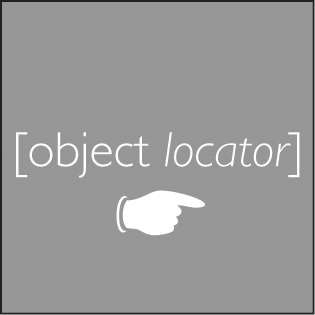 ICEdot is an emergency notification and identification service. The Crash Sensor will mount onto any helmet. When paired with the ICEdot app on a smart phone, the system is able to detect motion, changes in forces and impacts. In the event of critical forces, the device triggers the app over low-energy Bluetooth to sound an alarm and initiate an emergency countdown. Unless the countdown clock is stopped, the app will then notify your emergency contacts and send GPS coordinates of the incident so that appropriate follow up actions can be taken. The Crash Sensor app is available for iPhone 4S and later. An Android version is available for Low Energy Bluetooth enabled devices running 4.3 or later, Samsung phones require 4.4.2. ICEdot SMS services are globally accessible with primary numbers in the United States for messages in the Americas, Switzerland for those in Europe, Australia and South Africa.